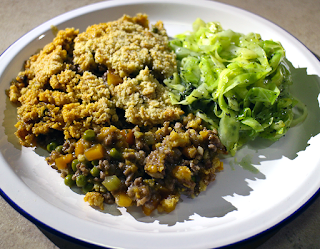 After yesterdays bacon cakes today sees us attempt the Dorset lamb crumble. Yes lamb crumble! It's another new one to me but boy does it work. It is basically a shepherds pie with a savoury cheesy and crumbly topping rather than mashed potato. You can use any shepherd pie recipe or try mine below, whatever you do I recommend you give it a go. 1. Sweat off the onion in a bit of oil in a large frying pan or wok. 2. In the same pan add the mince lamb and brown. 3. Add the carrot, celery and garlic and cook for a couple of minutes. 4. Stir in the flour then the tomato puree and continue stirring until it is stodgy. 5. Pour in the glass of red wine and then the stock. 6. Now add the anchovy fillets and rosemary. 7. Season with salt and pepper and simmer for a few minutes. 8. Add the peas then pour the lot into an oven dish and allow to cool a little while you make the crumble. 9. 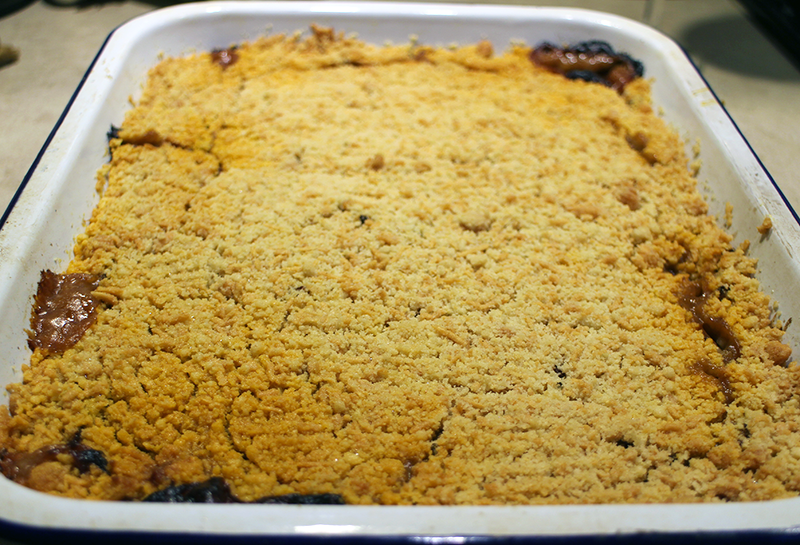 In a large bowl mix the flour and butter with your fingertips until it resembles breadcrumbs. 10. Mix in the grated cheese then pour the lot on top of the lamb mince. 11. Bake on gas mark 4 for about 30 minutes until golden brown. 12. Serve with some green veg, in our case it was cabbage stir fried with mint.